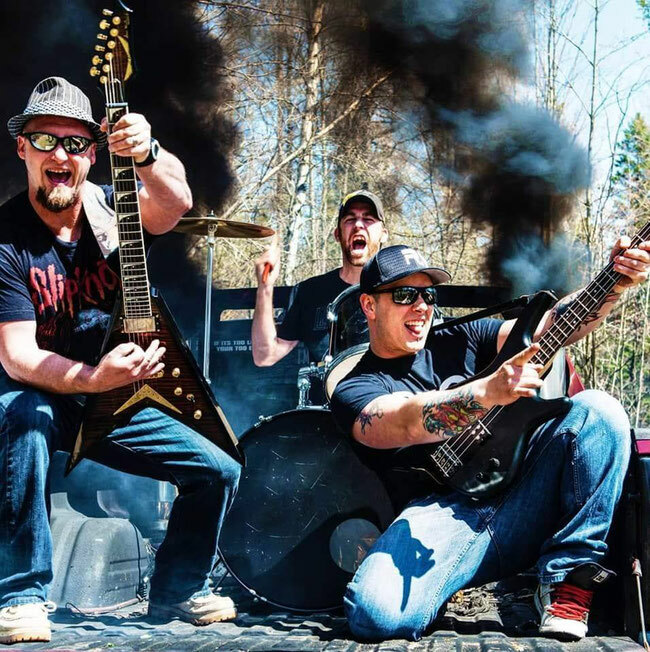 Canadian power trio Trigon are gruntled to announce their new high voltage single “The Goddess”. Groovy rhythm layered in the riffs, with energetic drum beats and powerful vocals works together to form a catchy song that will be bouncing around in your head for days. Staying fresh and fast-paced is key for the trio and they are pumped to have another helping of fun, punky hard rock for their fans. For those who already enjoy the sounds of Volbeat, The Offspring and Metallica; Trigon is the up and coming band you want to check out. The single will also be given away for FREE via the band’s Facebook page, all fans have to do is send them a message with the words ‘Give Me Goddess’ and your email and they will send you a download link. The single is also available on all digital music distributors and on their website. “Rock and roll ain’t dead. Lemmy would be proud! Fans can expect a lot more out of Trigon. We are just getting started. The dedication to our fans is always there…they are number 1 to us! We are a positive band hoping to reach out to people and give them songs they can relate to.” – Bassist Emanuel Viau.